Take this one to an expert. The f-holes look like some strange pseudo-DG model (Poggi f-holes are very distinctive), the scroll eye is very small (and most of Poggi scrolls are inked) and the front view shows a rather narrow profile at the bottom of the scroll, the pegbox seems to be blackened and the varnish looks a bit synthetic or lacking in lustre. 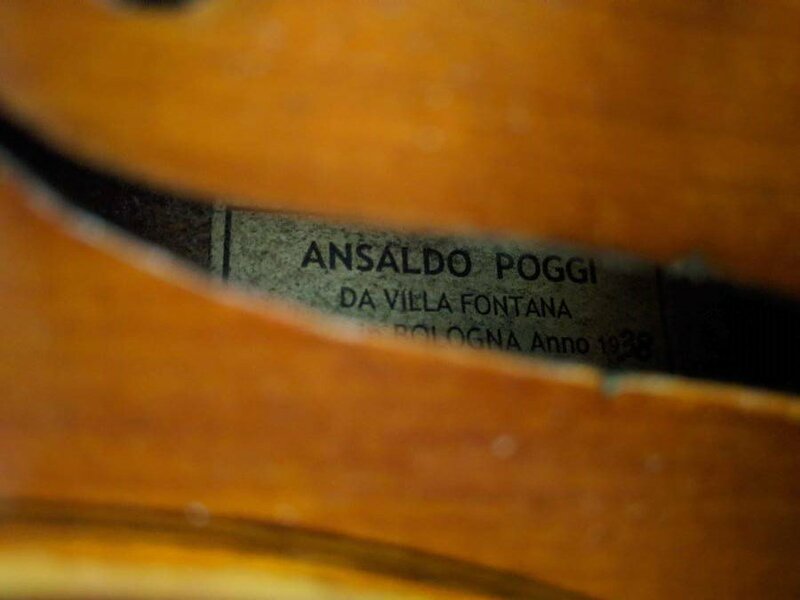 I don't think it's a Poggi, looks to be something considerably newer. The burned flames, and reversed grain on the top are giving me cause for concern too. Tarisio has several Poggi examples spanning decades with similar features on the scroll. Just based on that one aspect, the one you posted looks very different in several ways. Maybe he was copying a less skilled maker when he made yours? 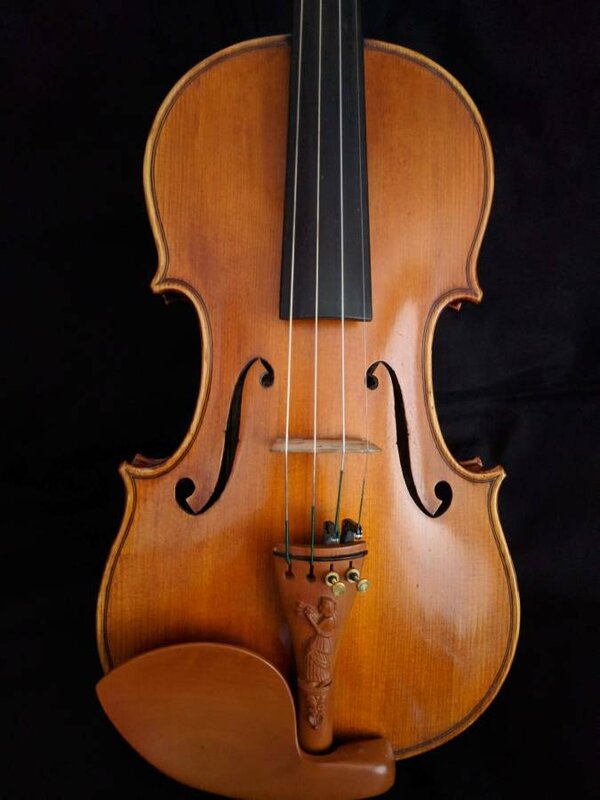 I was lucky enough to know Ansaldo Poggi, he was an old man and I was a fresh luthier but he was a very nice and he take time for speak with me for help me to improve. 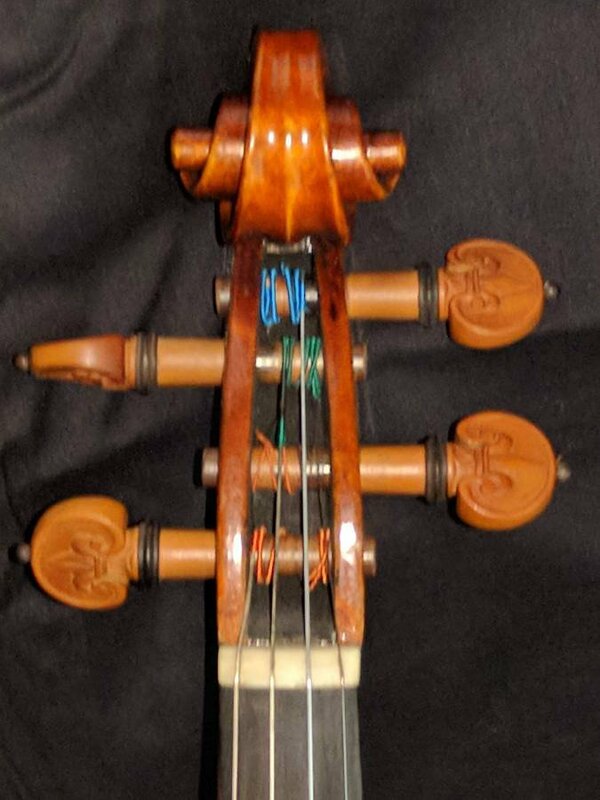 His work was very precise and not like the violin pictured in this post. Even his Del Gésù copy was very clean. Can you explain what you mean by the term is “burned flames” and “reverse grain”? The flames in the maple are overly emphasised, being very dark. This happens when maple is stained, and the stain penetrates the end grain of the flames. When this has been done, you loose the movement in the flames. The spruce lacks much definition, the grain lines do not stand out strongly. When spruce is stained, the softer wood between the grain lines absorbs the stain, the harder grain lines do not. The result can be the reverse of what you’d expect to see in spruce. flames sometimes appear burnt in photos when they actually aren't. I don't think the photos are good enough to say much about the spruce. 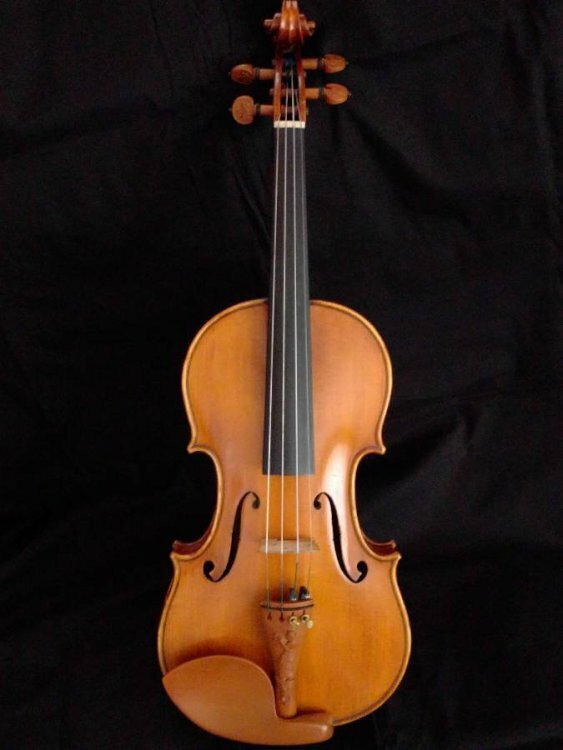 Poggi, on a few occasions, did make a 'Guarneri' model but not at all like this instrument. Misses Poggi by a mile. The label is junk. I think I understand. On the back, if the maple is stained, the flames of the wood will be over emphasized but there will be no movement as you change your viewing angle? And that’s called “burned flames”? And on the top, if the Spruce is stained, There will be no definition between the soft and hard wood. And that is called “reverse grain? So staining has the opposite effect on the maple or Spruce? Isnt wood always stained before varnishing? Finally, does that affect other top woods the same? Such as poplar or Willow? Do people even still use Willow at all? Thank you very much I appreciate your information! Yes, that's what's called "burned flames". It's perfectly possible to stain maple without producing this effect. And on the top, if the Spruce is stained, There will be no definition between the soft and hard wood. And that is called “reverse grain﻿? 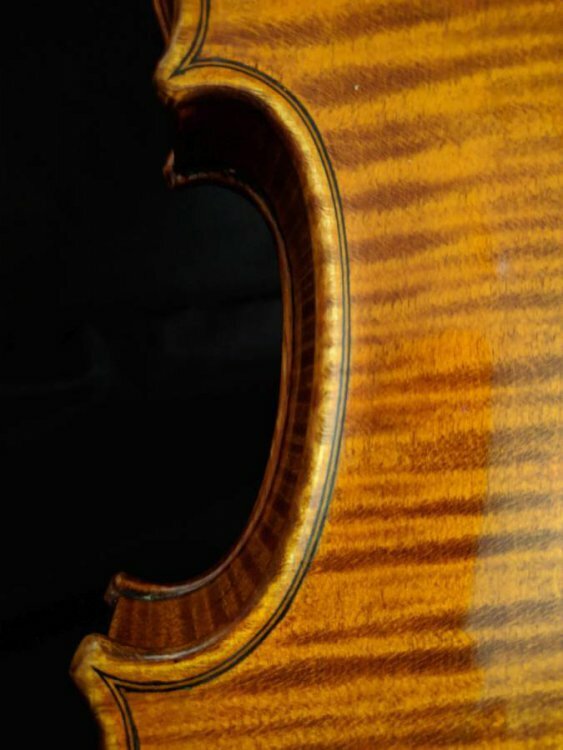 reverse grain is where the early wood looks darker than the late wood which can happen because of absorption of stain (or coloured varnish on unsealed wood). Again, perfectly possible to stain spruce without producing this effect. Isnt wood always stained before varnishing? Most makers will darken the wood before varnishing. Many will stain, some will use eg UV, ozone or heat treatment, or ammonia fuming, and some will swear by a combination of all or some of the above.. UV is usually involved to some degree. It looks to be new, and the label is fake so is that not a reason to suspect Chinese ? Thank you very much for this information, I really appreciate it. So if it is possible to stain wood without producing the negative effects that you mentioned, does that mean this is just sloppy workmanship? Again, perfectly possible to stain spruce without producing this effect. Would you reveal some tricks ? 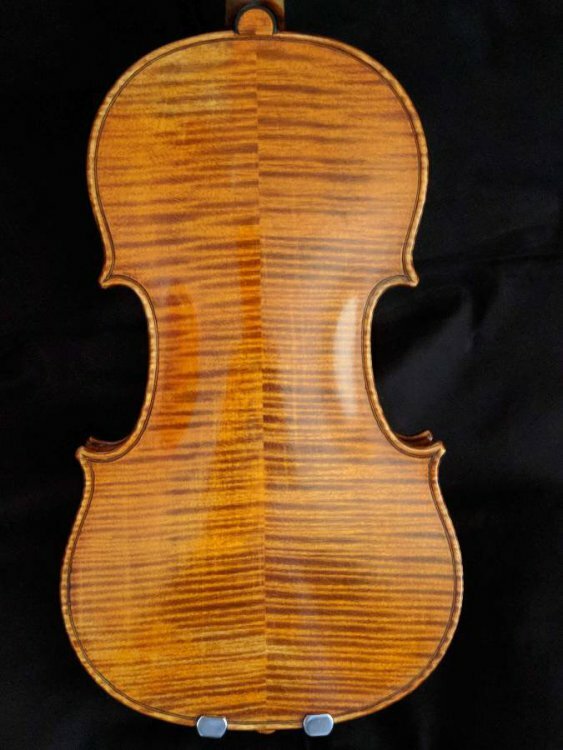 I know nothing about what might be possible to do with all stains, but that is why there are specialized wood treatments for violin family instruments. 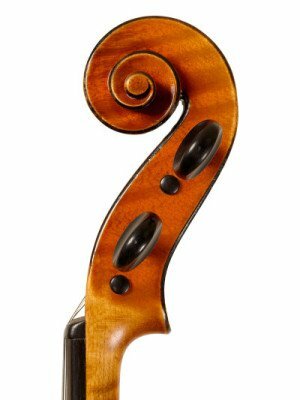 The desired result for a violin vs. a deck or a piece of furniture is different. 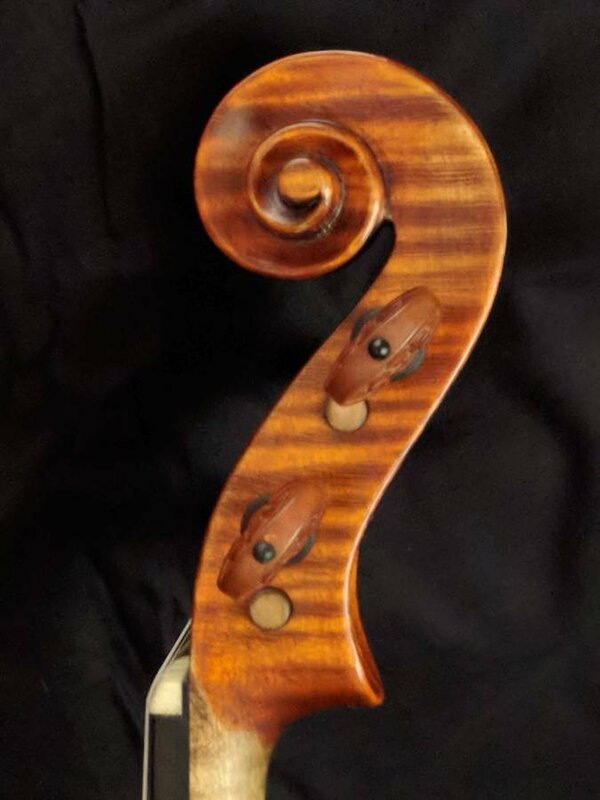 I know a decent amount about how to use two of the violin varnish systems out there, and the initial stain/ground of both is based on the urine and feces of animals combined with UV. I see no reason why to use anything else, because this type of stain works really perfectly. I have to recommend investment in a specialized system rather than piecing together ingredients yourself, especially if you are new to knowing the result you want, if that makes sense.